Stanford's Women in Data Science (WiDS) conference began two years ago with the goal of inspiring and educating data scientists worldwide, regardless of gender, and supporting women in the field. This one-day technical conference provides an opportunity to hear about the latest data science related research across domains, learn how leading-edge companies are leveraging data science for success, and connect with potential mentors and collaborators. The WiDs conference is held at Stanford University. There are over 100 regional events collaborated world wide to help further the reach and impact of the event. University of South Carolina will be hosting its own regional meeting here in Columbia, SC where we are organising events for data scientists, students, and technologists alike to network and share ideas. the President of the ‘International Society of Computational biology : Regional student group for the South East United States’. Why I'm interested in WiDS: Promoting increased representation of women in computational biology and data science. I am a junior at the USC studying computer science. I have done natural text language processing research for about 2 years. Aside from data science, I love UNIX, open source development, and sushi. Why I'm excited for WiDS: Looking forward to meeting so many awesome, female data scientists in my community. 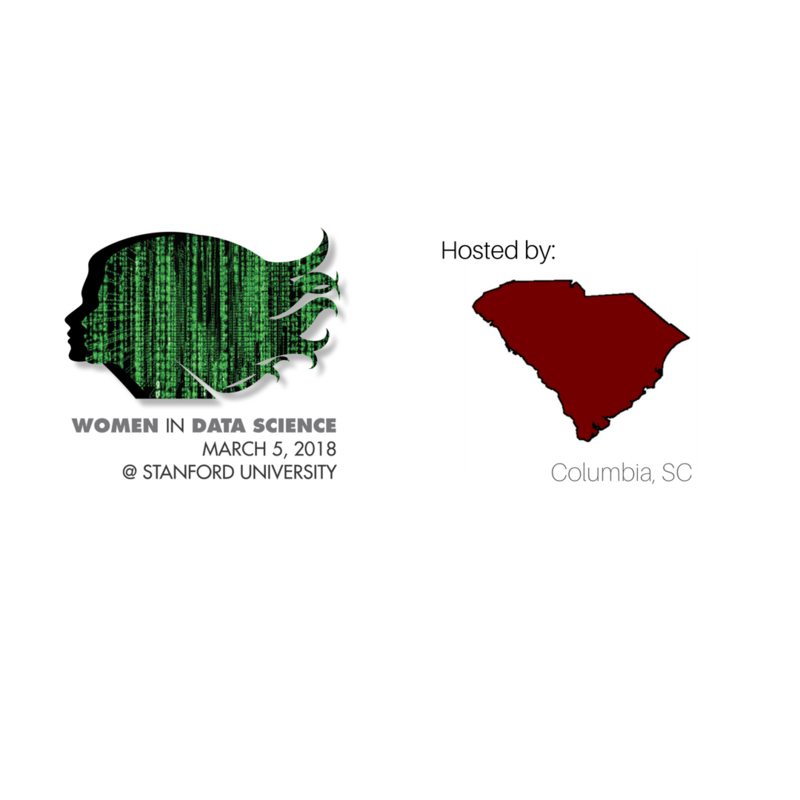 Together, we hope to make the first annual WiDS conference in Columbia a great success. We hope to bring together women of all backgrounds with an interest in data science to celebrate their accomplishments and look onward into the future of data science. Stacey Mumbower is the director of Center for Applied Business Analytics and Clinical assistant professor of management science in the Darla Moore School of Business at the University of South Carolina. Prior to joining the Moore School, she was a post-doctoral Prevention Effectiveness Fellow at the Centers for Disease Control and Prevention where she worked on resource allocation models for HIV prevention funding. She also spent two years as a statistical analyst in the Georgia Department of Transportation’s Office of Transportation Data. Listen to her speak at WIDS-Columbia. Shikha Kashyap is the founding partner and CTO of Syntelli solutions. She received her Bachelor of Engineering degree from the Delhi Institute of Technology and her Management Development Program degree from the Harvard Business School . Ms. Kashyap has over two decades’ experience delivering advanced IT solutions with focus on data and data analytics, master data management and now architecting Big Data Solutions for her clients. Opening Remarks: Margot Gerritsen, Senior Associate Dean and Director of ICME, Stanford University. The most valuable thing you can have as a leader is clear data.